IBBY Sverige är sedan några år fadder för IBBY Kambodja. Förutom att vi bidrar till deras medlemsavgift i IBBY International så har vi kontakt via mail och utbyter erfarenheter. 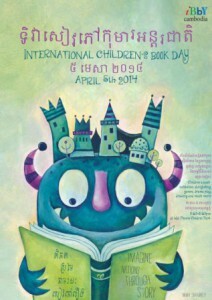 Här kan ni läsa ur det senaste mailet, en rapport om aktiviteterna kring International Children’s Book Day 2014 i Kambodja. 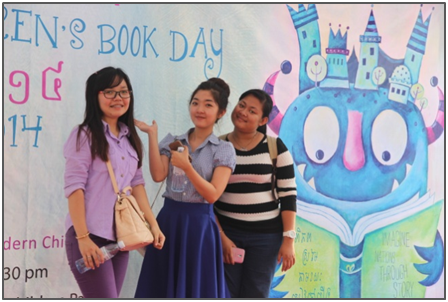 IBBY Cambodia hosted an event to celebrate International Children’s Book Day on April 5th in Phnom Penh. 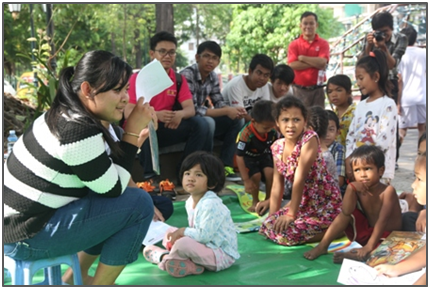 The event was held in a public park and children’s playground in central Phnom Penh ensuring open access for all who wanted to join. IBBY member organizations and other organizations provided a range of activities throughout the afternoon including free reading and mobile libraries, storytelling, kimishibai, drawing, music, and competitions. Highlights of the event were a dramatization of IBBY Honor List books Chek Chek Wants to Get Married (nominated for quality of illustration) and The Prince Who Never Laughed (nominated for quality of writing). The exploits of Chek Chek, an adventurous young frog, as she tries out elaborate wedding preparations and eventually ends up deciding she would rather go to school, were re-told by a group of young performers, while some older students brought to life the story of the lonesome Prince Charming as he wanders the world seeking happiness and a mate. 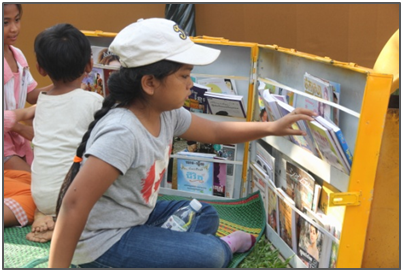 IBBY Cambodia’s ICBD celebrations attracted over 700 visitors including multiple generations of families, groups of young friends, school groups, and several regular visitors to the park who stumbled on the event and stayed to enjoy the entertainment. Many visitors expressed interest in IBBY and attending future events, and some new members were recruited. The event was made possible through the hard work and team spirit of IBBY’s members in organizing the event, the activities, and providing financial support, a large team of volunteers and supporters including a reading promotion group from one of the local universities, and the generous support of several commercial sponsors. 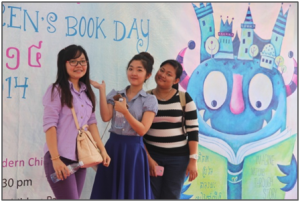 It marks a significant success for reading promotion in Cambodia and our IBBY team will be working hard to build on the energy and enthusiasm we saw in readers of all ages last month. 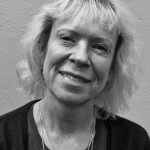 Ingrid är pedagog och bibliotekarie med erfarenheter från förskola, skola och olika biblioteksverksamheter. 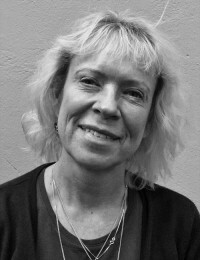 Arbetar bland annat med Barnens Bokbuss vid Stockholms stadsbibliotek. Sitter i IBBY Sveriges styrelse sedan 2011.